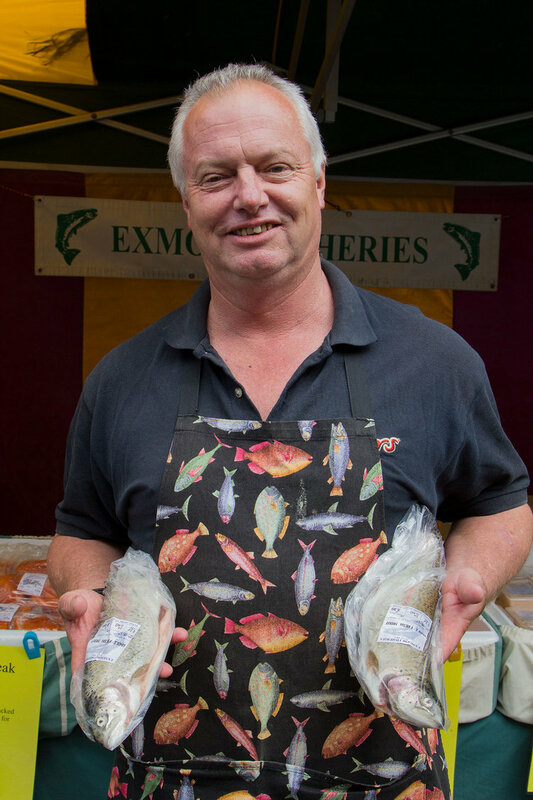 Don't forget Exmoor Fisheries is back at the market this week with their freshly-caught Trout and Trout products such as their incredibly delicious Trout Pâté . After this week, they will be then be back again on the 1st Friday in October. Temperatures are too hot for Cocoa and her wonderful Handmade Chocolate and Home Made Cakes by Juliet will be at another event this week. Out and Over Catering is taking a well-deserved break to spend time with her kids, and it's cooking day for Sugar and Spice Preserves. They will all be back next week. Greenmeadow Poultry is leaving Minehead Farmers Market after many years of trading. Their last week is next Friday. So, we are currently looking for an Egg Producer to fill their spot. If you are interested, please contact Shelley here. Pork Heaven From Devon is now back every week. Exmoor Fisheries is back is also back this week. Handmade Cakes by Juliet, Grown Up Marshmallows, and Sugar & Spices Preserves will not be at the market tomorrow. My free-range flock is made up from large fowl Barnevelders, Cream Legbars, Leghorns, Salmon Faverolles and bantam Marans, Araucanas, Anconas and Pekins. I also have some hybrid Goldlines and Black Rocks. These produce a mixture of different coloured eggs - brown, tinted, white and green/blue. I have a small number of duck eggs from Khaki Cambells and am currently expanding my numbers of quail.